It is friday again. And Friday is portrait day on www.kollektiv25.de. 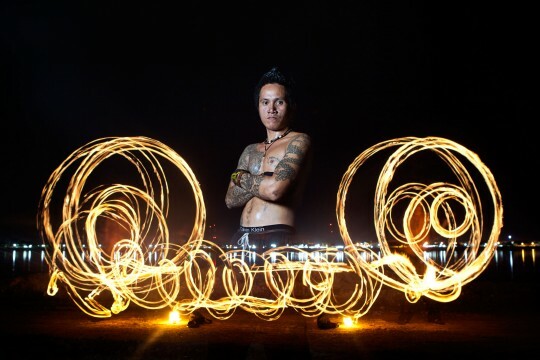 Jo is a fire artist from Lonely Beach, Koh Chang island in Thailand. I photographed him at the mekong riverbank in Vientiane where he is currently based. Jo is 32 years old and first started playing the »poi poi’s« 10 years ago after seeing a tourist practicing on his home beach. Nowadays it’s him who voluntarily teaches younger kids from his village how to play. Besides working as a bartender he is able to make money playing at Hotels and Parties. 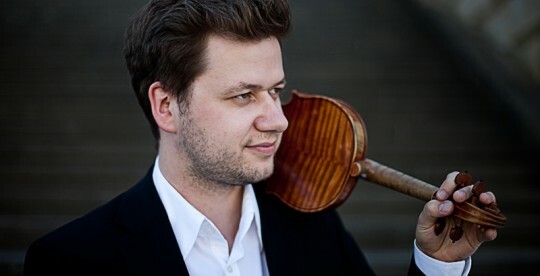 Martin Funda is a young emerging violinist from Berlin. This picture was taken to promote his concerts on his website and on billboards in the city. 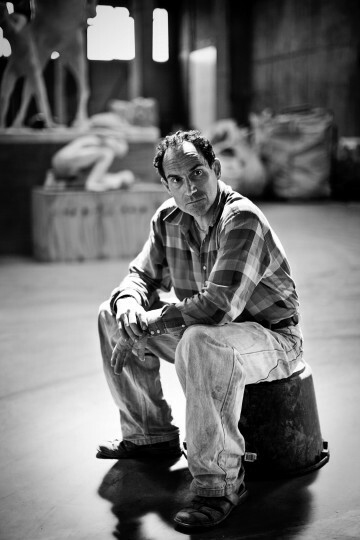 Joep van Lieshout is one of the most important contemporary artists of The Netherlands. He mainly works with materials like polyurethane foam and polyester. His work often combines art with design and architecture. His artworks are exhibited in many international exhibitions, among others, at the MOMA New York. I photographed him at the »Atelier van Lieshout«, a artists-collective, that he has founded in 1995. 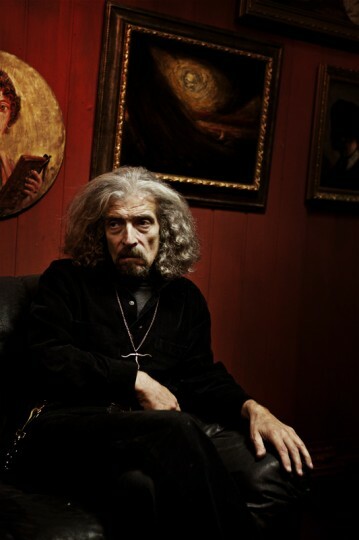 Eugen is one of the three Russian brothers who paint copies of famous masterpieces in Berlin. Only artists who have been dead for over 70 years are allowed to be copied legally. Their works are so perfect that the three brothers became somehow famous around the world for their reproductions of Rembrandt, da Vinci, van Gogh and other Old Masters. Read more about them here and here. And here you can see a multimedia story by 2470media about Eugen Posin.